Our bright, beautiful Traditional Mexican Yoga Blankets enhance any home or professional yoga space. If you operate a yoga studio, we know cleanliness is important. You'll be glad to know that these blankets can be washed in a regular washing machine. Wash after wash, they hold their shape, color and super soft texture! 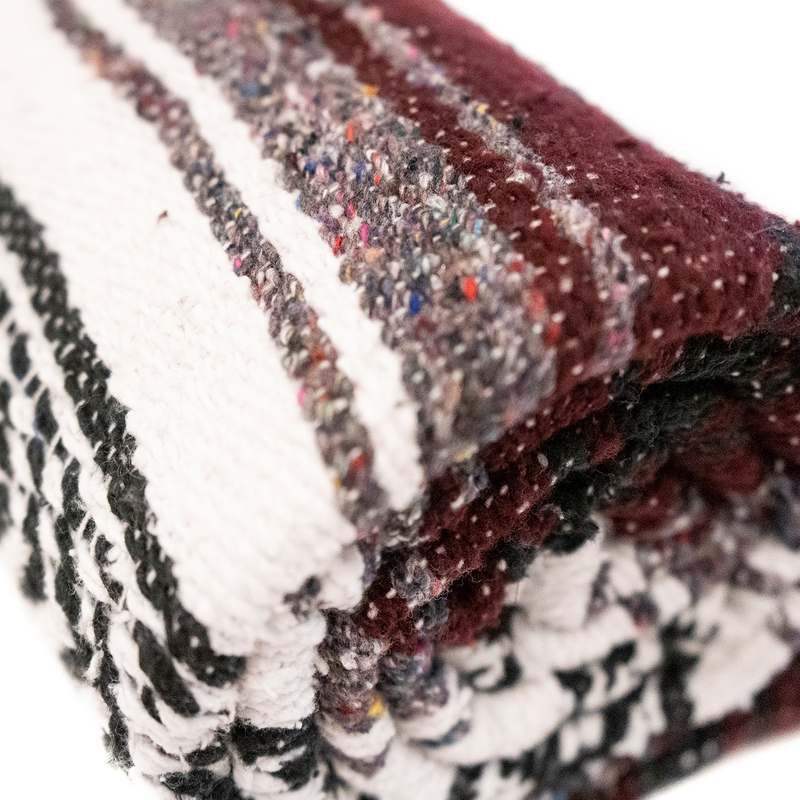 Spoil your students by giving them a selection of more than a dozen woven color blends including blue, green, teal, purple, red, brown, gray, burgundy, pink and more. This high-quality, extra large yoga blanket is super soft. At 74"x52", the blanket is big enough to cover your whole body when lying down. 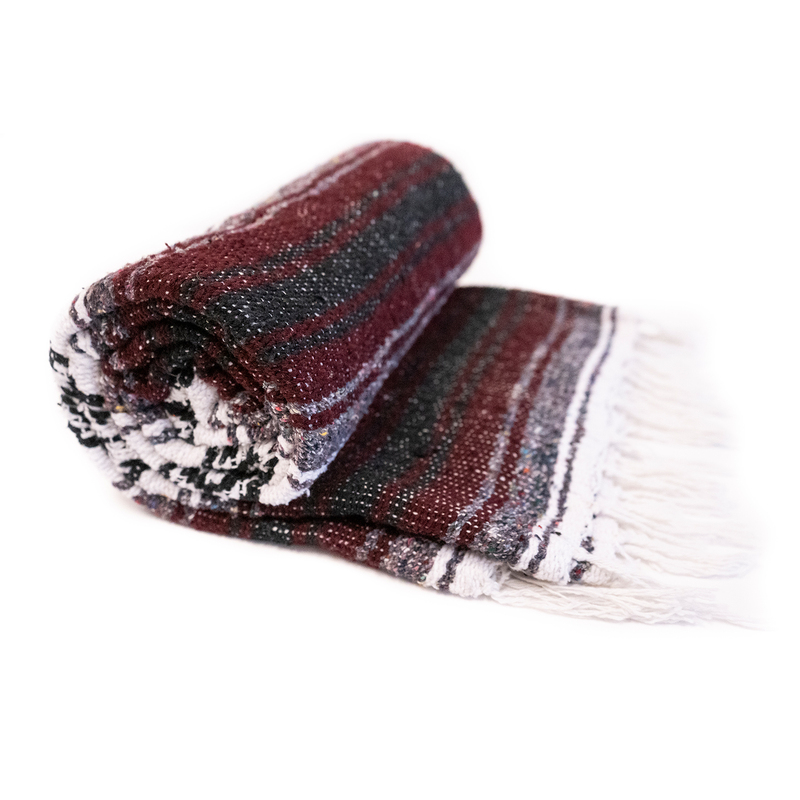 Use this loosely woven blanket for warmth, comfort or lend support and extra padding for yoga poses such as shoulder stand or plow. Our bright, beautiful Mexican style yoga blankets will add a splash of color to your yoga studio or your favorite place to practice yoga. 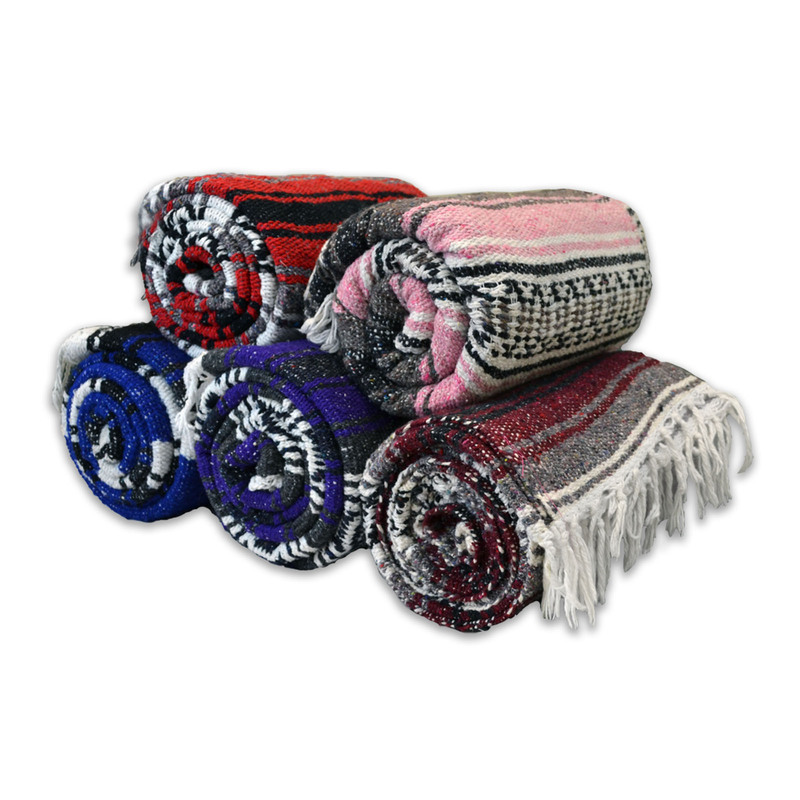 These high-quality traditional blankets feature bright colors and are soft for added comfort. These blankets can easily and safely be washed in a regular washing machine. Use this loosely woven blanket for warmth, comfort, extra padding, or to lend support for yoga positions. What can I say, the extra padding when I stretch on my mat outside on the deck is excellent. It is definitely a plus for the comfort when doing the longer sit stretches! I ordered several of the dark green blankets. They were soft, yet thick enough to provide support. I am very pleased with these blankets HOWEVER, DO NOT PUT THEM IN THE DRIER...they will form little balls... air dry and they're great and soft. Good quality for the price. Not itchy like some wool blankets. Perfect for sitting on to tilt the pelvis or folding to use as a support for restorative yoga. I have been so happy with the use of these blankets in my accessible yoga classes. They are also really easy to care for! Terrific quality, bold beautiful colour! Easy care. Just got these blankets for my yoga class and my students LOVE them! Very useful when in seated position and of course to keep warm while in Savasana. Thank you Yoga Direct!